Help the PTSO achieve its ultimate goal of supporting the entire James River community--teachers, students and parents. In addition to the funds raised through membership dues we rely on our families making a one-time donation or supporting our fundraisers. We hope you will consider one of the following options to help us reach our goals and make James River High School the best high school in Chesterfield County! Support James River and the PTSO programs through a one-time financial contribution. Your contribution is tax-deductible and may be eligible for corporate Matching Gift Programs. Contact your company’s HR department for details. 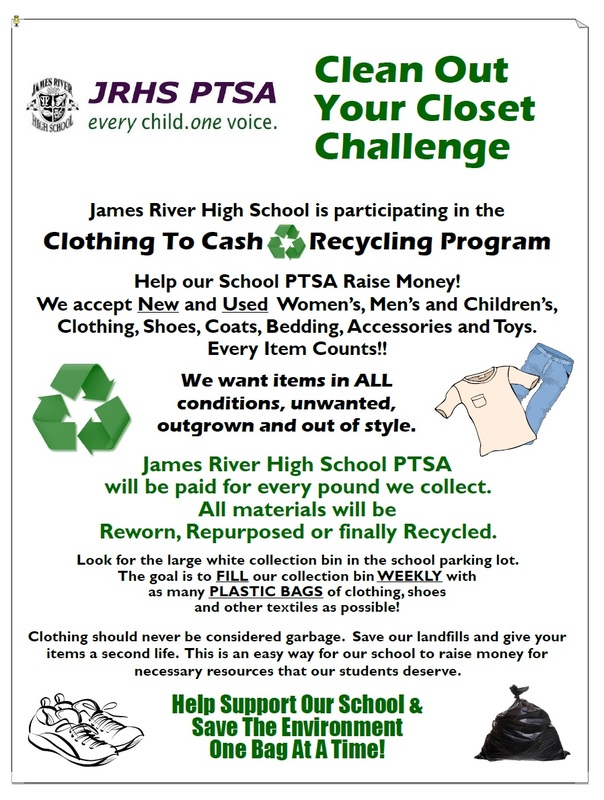 Continue your support of James River PTSO every time you shop and use your Kroger Shopper's Card. Just login in at Kroger.com/CommunityRewards and select JRHS PTSO. If you've been a member in the past, remember that you have to sign up each year--be sure to choose JRHS PTSO. The PTSO hosts benefit evenings at local restaurants throughout the year. Treat yourself to a night of not having to cook and help raise funds for the PTSO! Look for announcements in the PTSO newsletter for more information on dates, times and locations.